Winner: 250€ sponsored by OGSeries.tv! 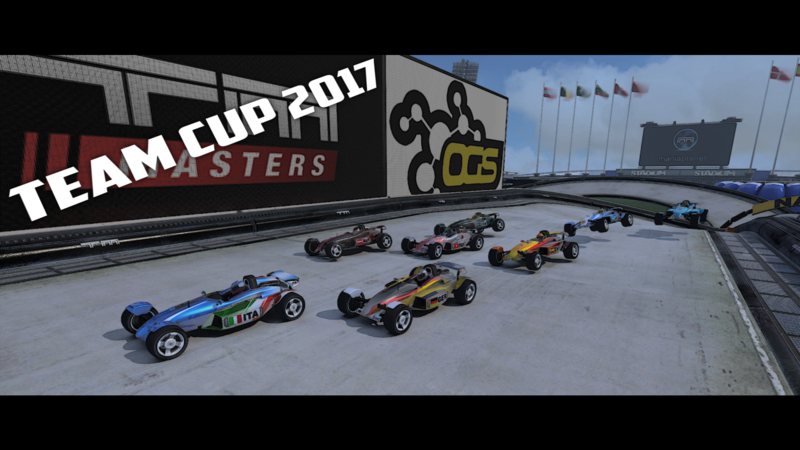 We thank OGSeries for partnering up with TrackMania Masters once again. 1. Before registering: Take it seriously, do not quit halfway through the cup. 2. Contact opposite team well ahead of match to agree on time and place (Server?) via OGS match chat. 3. If you cant make the default match time suggestion – contact opposite team captain atleast 1 day before match, and agree upon a new time (before next round) – Default match time overrules other suggestions! 5. Teams have to provide their own match servers. – Allowed before 18th March 19.00 CET. You can NOT add members that have been active in another TMM team, both retired teams and teams that are still in the cup. 10. Cuts can absolutly NOT be used. If used the score for the map goes to the other team. 13. ALL maps have to be driven, no matter the score. Applies for groupstage AND playoffs. The best 2 teams from each group will automatically advance to the playoffs. Basically, every round can make the difference. The best 16 teams, which did not qualified for the playoffs in the first place, will play a Consolidation Round for the 8 remaining spots of the playoff tree. These matches will be generated randomly. The remaining 8 teams are out of the tournament. The best 32 teams from the Groupstage will play a single elimination bracket up to the Grand Final. The losers of the 1/2-final will play a match for the 3rd place. Leave a like on our Facebook page, as important updates regarding maps, matches etc. are posted there immediately. 1) Send 2.000 planets signup fee to account “thesickdino” – add your teamname in the title! 3) Make a REPLY under Dino’s posts on the forum – click the button below! Send a private message to TrackMania Masters’ Facebook account.